"Optimisme terhadap peluang bisnis pengembangan software komputer dikemukakan juga oleh Andri Yadi, presiden direktur sekaligus CEO PT Dycode yang berkantor di Bandung, Jawa Barat. Andri mengatakan, produk-produk software infratruktur yang di pasaran saat ini memang kebanyakan dari luar negeri. "Tetapi software untuk business process kita bisa bersaing," katanya. Dycode yang juga jadi mitra Microsoft fokus pada pengembangan software untuk mendukung proses bisnis perusahaan yang bergerak di bidang minyak dan gas serta pelabuhan. Pengguna produk Dycode antara lain PT Krakatau Bandar Samudra, dan PT Mitsubishi Chemical Indonesia." "Optimism of computer software business opportunity also stated by Andri Yadi, President Director & CEO of PT. DyCode which located in Bandung, West Java. Andri says, infrastructure software products in the market currently are still from foreign countries. "But for business process-related softwares, we can compete". DyCode which is also Microsoft’s partner is focus to software development to support business processes of oil & gas and port-related companies. DyCode’s products have been used by PT. Krakatau Bandar Samudera, PT. Mitsubishi Chemical Indonesia, etc". On Monday, December 10, 2007, A well-known Indonesia IT portal – detikinet.com – publishes an article entitled "Local Software Grows Future Hope" or in Bahasa: "Software Lokal Tumbuhkan Harapan Masa Depan". The article tells about the movement of Indonesian local Independence Software Vendor (ISV) and Microsoft Indonesia’s Bina ISV program. Among many ISV in Indonesia, Rent@soft, DyCode, and Sangkuriang Studio, are described in detail in this article. On Dec 13, 2007, Jakarta – more precisely Grand Ballroom-The Ritz-Carlton Jakarta Pacific Place – was full of ISVs, geeks, important people from Microsoft and other, etc, in celebrating "Indonesia Innovates" at Microsoft’s Sinergi (Sarana Inovasi dan Kreasi Negeri) event. The event presents the launch of innovation framework, speeches, panel discussion, exhibition, and awarding. More details about the event can be found at http://www.microsoft.com/indonesia/events/sinergy.aspx. In this blog we’ll talk more about awarding. As we can see in the list, DyCode receives IT Startup 2007 award. Wow…it’s an honor for us, DyCoders. 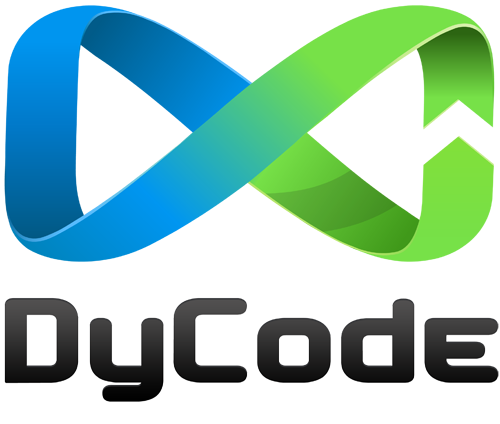 Referring to DyCode profile (can be found at our website), DyCode is established formally at May 2007, quite new (but we have been teamwork since 2005). During DyCode’s life, this is the first time we receive an award from a credible institution, Microsoft in this case. We consider this award is an honor and a gift as well for our hard work all this time since being a startup is far away of easy, especially in Indonesia. Being a startup means you have to start all up by yourself since it’s not easy to get support (especially financial support from government, VC, or angel investor) in Indonesia. Such supports from Microsoft Indonesia by giving award, technical & educational support, and marketing support mean a lot for Micro ISV like us. Hopefully, many such of events come ahead to encourage micro ISVs to do their best. DyCode is only one of many micro ISVs in Indonesia, and DyCode represents them to accept this award to encourage their movement. This award is for all of us. OK, it’s time for fun stuffs. We’d like to share the awarding moment by displaying photos we’ve taken. This is the photo of all award winners. Mr. Ari Kunwidodo is handshaking to all winners. Pak Risman is explaining about Microsoft’s Micro ISV program. As you can see, DyCode is one of Microsoft’s managed micro ISV together with BataviaSoft, Sangkuring Studio, and PE College. Andri Yadi represents DyCode to receive Innovation Star 2007 award of Micro ISV category. The award is given by Todd Kepus, ISV Developer Evangelist, Asia Pacific Region. And here are all of the Innovation Star 2007 winners together with Todd and pak Risman. From left to right: Amyati Kania Hakim (RTI), Andri Yadi (DyCode), Fajar Ramadhani (BataviaSoft), Intersoft representative, Todd Kepus, pak Risman, and IAO representative. It is a big day for us, DyCoders. We receive two awards in one event, feel totally extraordinary. These awards won’t make us bigheaded and forget who we are and what we’re all about. In fact, these awards will make us to do more our best, keep dynamic, and like our motto says "keep moving forward". Just in case you haven’t know who are the DyCoders. Here they are taking photo together. From left to right: Iman (Mgr, Research), Dany (Spv, Adm), Andri (CEO), Reza (GM, Custom Development). We were very glad to be at this event. Besides receiving the prestigious award, we can meet a lot of people, important people, friends, and geeks. Thank you very much to Microsoft Indonesia for the great event and for the awards. Oil & Gas-related IT solutions are unique solutions due to the uniqueness of oil & gas-related business processes & policies. Two of the main focuses of most oil & gas companies are safety and security. If you refer to oil & gas company, such as: Chevron, PT. Badak NGL, they are very concern about safety and the security is quite tight. Since oil & gas business is very risky and the hazard potency is very high, it’s clear that safety and security must be prioritized. We have developed and deployed two security and safety-related solutions to PT. Chevron Pacific Indonesia and PT. Badak NGL. Those solutions have helped those two companies to increase safety & security performance and ease daily tasks in managing safety & security-related data so that it can help to report safety & security performance to management. We also keep developing and managing a product that’s based on the best practices of security & safety management, that’s called SENTINEL. It’s a unique solution in security & safety management and can be customized to meet clients’ requirements. Beside the security & safety-related product & solution, we also have a drilling monitoring system product called DREAL. While drilling a well, common drilling equipments will transmit real-time log read by sensors that contains physical measurements like depth, rate of penetration (ROP), etc. Those data will be transferred using well-known standard called WITSML, and then processed and usually displayed as chart and numeric. DREAL is a complete solution to monitor drilling process, start from collecting data from DAQ attached to drilling equipment until displaying the processed data into chart and numeric presentation. DREAL also has been implemented the latest well know WITSML standard. By those two solutions, safety & security and also drilling monitoring solutions, we claim that we are able to provide important solutions in oil & gas business. Plant Maintenance Management Information System (MMS) is an integrated plant management solution that can help managing the maintenance process. MMS is developed and deployed as web-based application that can be used as single entry point/portal for managing the plant maintenance process. Contains functionalities to setup PLAMIS before it usage Most setups are related to define data templates those will be intensively used in transactional/operation process. Function to manage all master data used in MMS modules. Facilitate the collaboration between related users for sending of work request, and then reporting of maintenance result. Enterprise Content Delivery System, a complete, powerful, high-end, and ease to use Enterprise Content Management (ECM) solution.